Here I share a method (that's worked for us! ), of feeding your child, healthy food in kid sized proportions throughout the day, without tantrums, fights or constant pestering! You can also use this style of food presentation for a healthy and rubbish free lunchbox for school. Here are the 3 simple steps to give this method a try with pre-schoolers at home, with a more detailed explanation below the pictures. 3. 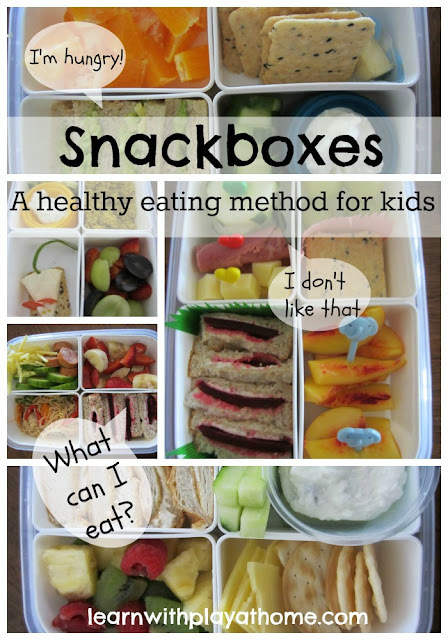 Put the "snackbox" on the bottom shelf of the fridge where your child can access it and let them choose what they eat and when they eat it. 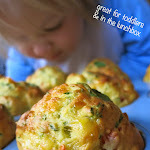 Some examples of our "snackboxes"
My daughter, who has recently turned 3, has always been a food lover. This is generally a good thing as she will usually try new foods without too much resistance, but as she got older I was finding her becoming pickier, more demanding and it felt as though I was making her food, all day long. On top of that, as she was eating (what felt like) constantly throughout the day, when it came to dinner time, we were struggling to get her to eat her dinner. I decided it was time to give something new a try and thus, our "snackboxes" were born. Now, in the mornings, as she eats a healthy breakfast, I prepare a "snackbox" of all the food that I want her to eat throughout the day. This includes morning tea, lunch and afternoon tea. Seeing ALL her food for the day is very exciting for my daughter.. and the better presented, the more excited she gets about it. (Yes, EXCITED about cucumber sticks, haha). Before, if she declared her hunger and I suggested some carrot sticks or cucumber or the like, we had a big fight over it and she would refuse to eat them. She wanted what she wanted (and it wasn't what I wanted). The next part was relinquishing the control of what she ate when. I already regained control over what she was eating, but letting her decide what (from the snackbox) she wanted to eat and when she wanted to eat it was a little scary at first, but worked wonders! Yes, I was worried (as was my husband) that she would just eat the entire day's food before the day had barely started, but I made a point of talking about her choices and how if she ate all the food too early, she would end up very hungry as the day went on and that there was no more food until dinner. At the beginning, I did have to remind her of this many times and suggest she wait a while longer between snacks. Over time she has started to get to know her own body better and eats more out of hunger now than just entertainment.. AND, BONUS she is now hungry for dinner and so almost always eats all of what is put in front of her. Yay! Edit: I've had many enquiries about the products I am using. The container pictured here is the Decor Tellfresh Quarters container. On their website it is listed as "Pumped® Sandwich & Snack Twin Pack / Sandwich Plus"
You can source the food picks off ebay by typing in "Bento" (for all kinds of amazing products) or "Food Picks" (If you're just being specific). How do you ensure your kids are eating the right foods and right amounts? Feel free to share any ideas you use in the comments. Playing with rice is a great tactile experience for children. Here I provided some basic "tools" and then let the playing begin. As we were using a real ingredient, Madeline wanted to pretend to be cooking. This activity is just about letting your child choose, experiment with and get creative with a range of recycled materials and craft supplies. Children need to be able to experiment with materials without always having a desired end result or a specific procedure to follow. Allowing them to choose the direction of their play lets them be creative, use their imagination and follow their own direction. Her end results. Little cakes! Next step; open a cake shop and start imaginative play. Using the popular children's song "Elephants Balancing" ﻿as our inspiration, we create an easy but super cute picture. Using memory to recreate the picture, fine motor skills to assemble it all, reasoning to figure out the order of pasting, verbal communication and recount to sing the song and early mathematics skills to count and add the elephants, makes this seemingly simple little activity full of fun and learning. We used 3 elephants that we cut out of some recycled wrapping paper, 3 green kinder circles, some brown paper for the tree-trunks, a piece of string and a couple of pieces of paper to mount it all on. - Use any elephant pictures you can find or draw them yourself. Cut them out of a picture, print some off the computer or make them from your child's hand prints etc. - To simplify this activity, do the cutting and arranging yourself and assist your child in sticking the pieces down, recalling where they went and the order they get stuck down while singing the song. 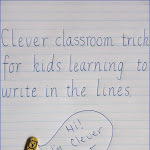 - To extend this activity, allow your child to do the cutting, arranging, memory recall, sticking etc as they are able. A simple little activity to practice fine-motor skills, patience and concentration. Children love using soft, colourful, fuzzy or sparkly things and pom-poms are a fabulous material that you can use for SO many different activities. Using this basket, we discover that pushing the pom-poms just half way through the holes keeps them in place. Push too hard and they pop all the way through. Pushing them in just half way required concentration and patience. Once all the pom-poms were in the holes, it was time to push them back through and into the basket to start again. - As it's very unlikely you will have this type of basket at your house, have a look around (or get your child on the job!) and see if you can find something with holes that pom-poms can be pushed into. - If you can't find anything suitable, punch holes (just large enough to just fit the pom-poms) in a washed out milk carton or cereal box etc. Using this simple 4 ingredient recipe for scones is the perfect way for your child to whip up afternoon tea for everyone with very little assistance. Measure out and sift 3 cups of self raising flour. Count them, 1, 2, 3. Wow! Look at it fizzing up! Knead the dough on a floured surface. A fun tactile experience. 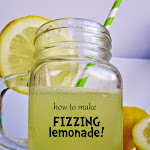 - Simplify this activity by measuring all the ingredients yourself and allowing your child to pour them in and practice their hand eye coordination. Get them to count the cups of flour with you. - Continue to talk with your child about the methods they are using and the easiest ways to do them. Remember that practice makes perfect! - Use this time to talk about "Sometimes foods" and "Everyday foods"
Recipe Source: http://www.bestrecipes.com.au/recipe/Lemonade-Scones-L325.html Tried and tested by us with great results! Beading is a fabulous activity for young children of all ages as they can learn about colours and patterns while practicing their fine motor skills. Different sized and shaped beads are readily available to suit all skill levels and depending on your child's interests and patience, beading could keep them occupied for ages! Loving touching all the beads and letting them run through her fingers. Very tactile. - To extend this activity, try a focus on making patterns. If not experienced with patterns, try using just 2 colours first and look at the different patterns that can be made with them before adding in extra colours. - For beginning sorting, use beads of primary and then secondary colours before talking about and attempting to sort different shades of colours. 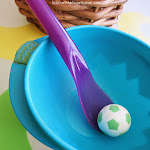 - Use beads in a sensory tub or just to play with etc. - Always supervise small children with beads as they can pose a choking hazard. Make your own Sound Effects! This activity lets your child experiment with sound in a super fun and engaging way. You'll need any musical instruments you have and a favourite television show (that's sure to get them interested). Spread out the musical instruments so they can be easily seen and accessed by your child and have them make all the sound effects for a favourite show/scene etc. - If you don't have any musical instruments, use things like pots, pans, wooden spoons, containers of rice etc. - Talk with your child about which sounds are the most appropriate. Which instruments make sounds that are close to what the real sound would be? - Mix up the activity by choosing silly sounds. Find the sounds that are the most UNLIKE what the real sound would be. This provides lots of laughs. -Extend this activity by discussing emotions etc. and the types of sounds that your child would associate with various emotions. - Replay the show or scene with the sound on and see how close the sounds were that you chose. This is a fabulous little experiment that will delight your children (and you, thanks to how easy it is). It takes very few ingredients that can be found easily around the house. It instantly splits the colour and gives you a tie-dye effect. "Woah!" Will the same experiment work with water instead of milk? You'll have to try to find out. If your child is ready, talk about why or why not. Bubble blowing is so much fun that it doesn't matter the result! Wow! "When I blew really softly I made a GIGANTIC bubble"
- To extend this activity, try using lots of different colours on the one plate and see what happens. Can you and your child create a colour wheel? - Talk with your child about what they think is happening and why. Use different vocabulary and lots of descriptive words (adjectives) to extend their literacy skills. - If blowing bubbles, see what the difference in the bubbles is if you have more or less detergent or if you blow harder or softer.